Obtaining Control Over Any Stolen Thing of Value 18-4-404 and Theft By Receiving Stolen Property – If you obtain control over a a stolen thing of value – even if you did not steal the item yourself – you can be convicted of the crime of Receiving Stolen Property. Every person who obtains control over any stolen thing of value, knowing the thing of value to have been stolen by another, may be tried, convicted, and punished whether or not the principal is charged, tried, or convicted. If you are charged under Colorado’s Theft By Receiving Law – now “re-packaged with 18-4-401 – a DA – prosecutor must prove three elements of the crime against you – and these elements must be proven beyond a reasonable doubt. Finally – That having possessed or received the stolen property- you KNEW that the property was actually stolen. The DA must establish that the property is stolen. He or she must prove that it was stolen by proving it was stolen in a theft- a burglary – a robbery, or a form of embezzlement. 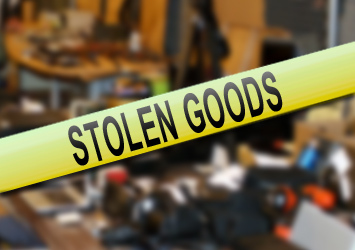 This is not as easy as it may seem – if the person who committed any these crimes – making the item or items “stolen” is never caught – it becomes even harder. However – under this law – § 18-4-404 – if you knowingly and subsequently receive that stolen property, even if at the time you received the property you did not KNOW it was stolen – later becoming aware of its stolen “quality” you cannot maintain control over it. You must either contact the authorities within a reasonable period of time or contact the owner – if possible – to return the stolen property. Like all other possession related crimes ( such as drug possession cases) “receiving” property seems to imply that only actual physical possession of the property is necessary to prove the crime. This is not true – possession can also be “constructive possession.” If you have control or share possession of stolen property – but not actual possession of it – you will also come under the ambit of this law. This happens most often -(as in drug possession cases) – when multiple individuals jointly possess – share – or have some form of joint control over stolen property. Possession of something stolen can be shared – need not be exclusive and possession can be “joint” possession. Next would be the “circumstances” surrounding the possession of the items – an eyewitness – a video – serial numbers and the like. 1. You were actively involved in concealing the stolen property. 2. The price paid for the property was so low it was patently absurd. 3. The transaction was “cash only” – no receipt was ever possible. 4. All identifying information such as serial numbers were intentionally and obviously removed. Certain professions and retailers are targeted in this area. Swap meet sellers or those engaged in the collecting merchandise or personal property. Dealers – collectors of junk metals or other kinds of second hand materials. Dealers – collectors of secondhand books or other literary materials. Dealers or individuals in making multiple transactions as regards buying and selling cars, boats, trailers, or special construction equipment. Dealers or individuals in the business of buying and selling personal property such as electronic equipment or appliances where the serial numbers or other identifying marks have been removed or altered. 18-4-411. Transactions for profit in stolen goods. If any person commits theft by receiving as defined in section 18-4-410 (1) when OBTAINS CONTROL OVER STOLEN PROPERTY KNOWING OR BELIEVING THE PROPERTY TO HAVE BEEN STOLEN, and such offense involves two or more separate stolen things of value each of which is the property of a separate owner, such commission of theft by receiving constitutes prima facie evidence that the person is engaged in the business of buying, selling, or otherwise disposing of stolen goods for a profit. 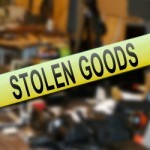 Are There Defenses To Colorado’s Receiving Stolen Property Law? Mistake of fact / claim of right – You actually owned the property for a fair price – or you were fooled into believing it was your lawful property by a con-artist. You were the victim. All property obtained by theft, robbery, or burglary shall be restored to the owner, and no sale, whether in good faith on the part of the purchaser or not, shall divest the owner of his right to such property. The owner may maintain an action not only against the taker thereof but also against any person in whose possession he finds the property. In any such action, the owner may recover two hundred dollars or three times the amount of the actual damages sustained by him, whichever is greater, and may also recover costs of the action and reasonable attorney fees; but monetary damages and attorney fees shall not be recoverable from a good-faith purchaser or good-faith holder of the property. ABOUT THE AUTHOR: H. Michael Steinberg – Email The Author: hmichaelsteinberg@hmichaelsteinberg.com – or call his office at 303-627-7777 during business hours – or call his cell if you cannot wait and need his immediate assistance – 720-227-7777. If you are charged with A Colorado crime or you have questions about Obtaining Control Over Any Stolen Thing of Value 18-4-404 and Theft By Receiving Stolen Property, please call our office. The Law Offices of H. Michael Steinberg, in Denver, Colorado, provide criminal defense clients with effective, efficient, intelligent and strong legal advocacy. We can educate you and help you navigate the stressful and complex legal process related to your criminal defense issue. Colorado Defense Lawyer H. Michael Steinberg provides solid criminal defense for clients throughout the Front Range of Colorado – including the City and County courts of Adams County, Arapahoe County, City and County of Boulder, City and County of Broomfield, City and County of Denver, Douglas County, El Paso County – Colorado Springs, Gilpin County, Jefferson County, Larimer County, and Weld County,…. and all the other cities and counties of Colorado along the I-25 Corridor… on cases involving … Obtaining Control Over Any Stolen Thing of Value 18-4-404 and Theft By Receiving Stolen Property.